A blog about smart home living. With the latest in wireless technology, having a smart home device installed to control your home’s systems isn’t as intrusive as you might think. Within hours, you can have a Vantage system installed to control your lighting, blinds, and heating and cooling systems. The Vantage system can be installed without disturbing walls or drilling holes and offers one of the industry’s broadest arrays of products and solutions for automated lighting control and other systems in your home. A Vantage system seamlessly blends aesthetics and technology and provides homeowners with ultimate control over every facet of luxury living. Lighting can affect the feeling of exuberance and human well-being. 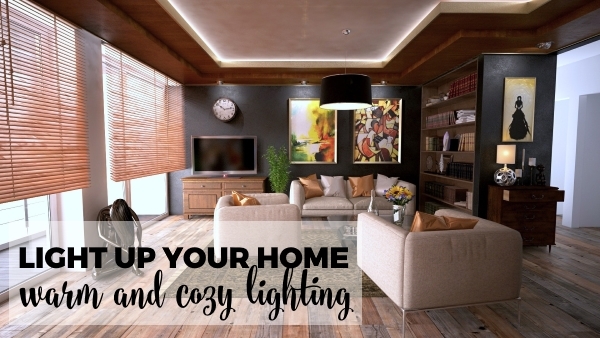 Home lighting can also convey a sense of security, warmth, peace and comfort in your home. For example, low-level lighting can be intimate, cozy, and relaxing while bright lighting can be stimulating and active. All these elements can be achieved with a Vantage system. Studies have also shown that a lack of light or insufficient lighting may provoke a feeling of depression, gloom, or even fear. In contrast, too much light or glaring lighting can be agitating, uncomfortable and annoying, even resolving in physical ailments and an inability to function adequately. That’s why it’s important to hire a professional to help with the design, installation and programming of your lighting system. Vantage offers a full range of high-end solutions to meet the needs of any lighting project. Beyond the lighting in your home, the Vantage system can also control other systems in your home. Taking environmental control beyond lighting, Vantage products are designed to communicate with best-in-category products for comfort and energy management throughout your home. Call Hometronics Lifestyles today for a free consultation at 800-468-9418 on all your smart home needs. The holiday is a time for family gatherings and family dinners, and it’s often a time to think about your family’s safety in your home especially when you can’t be there. The professionals at Hometronics Lifestyles provides products and services to help with your family’s safety and peace of mind when you’re at home or away from home. From automated lighting, heating, security systems, motorized shades, and HVAC systems, we provide all your smart home needs. Holidays are often a time when you leave your home for a vacation or to visit other family members. Hometronics Lifestyles can help you to enjoy your vacation or family time away. Our smart home features can make your home seem occupied when you are not home. And all our features can be controlled remotely with web access or via your mobile device. You can view the status of your home (the security settings, thermostat controls, and lighting) all through a browser or a mobile app. It’s all at your fingertips so you can modify any setting or event from your Apple or Android Device. You can set your home away alerts to notify you when there is a change in your home’s status or set your heat to lower your temperature settings when you are away. You can also program your lights to turn on and off at certain times of the day. With our smart doorbell features, should you get packages delivered you can alert neighbors or other family members to secure the packages until your return home. In addition, smart doorbells allow you to view live video remotely if someone is at or around your home. You can also program automatic sensor detector lighting or alarms to go off should someone get too close to your home after hours or tries to open windows or doors. This can also set off alerts that go straight to your mobile device or alert emergency personnel. Staying home for the holidays, Hometronics Lifestyles also specializes in home theater, distributed audio and media rooms. From holiday movies, sports and holiday music, your entire family can enjoy the latest in smart home audio and visual technology this season. We offer the latest in Frame and OLED TV technology as well as wireless distributed audio throughout your home. Call us today to see how we can make your holiday season more peaceful and enjoyable at 800-468-9418. From our family to yours, we wish you the Happiest of Holidays this season! Whether you are updating your home theater or hoping to delight an avid sports enthusiast or movie buff this holiday season, Sony’s Master Series A9F or Z9F TVs will not disappoint. In August of this year, Sony released the Master Series TVs, and both lines are getting rave reviews from home theater enthusiasts to techies across the board. “The Z9F LCD, available in 65-inch and 75-inch sizes, could be the next reigning king of LCDs while the A9F OLED, offered in 55-inch and 65-inch screen sizes, looks to continue Sony’s dominance in the OLED arena,” says TechRadar. With Sony’s A9F Master Series OLED TV the top features include 4KHDR, X1 Ultimate, OLED technology, Pixel Contrast Booster, Acoustical Surface Audio and is IMAX enhanced. Sony’s A9F Master Series LCD TV. The top features are 4KHDR, X1 Ultimate, X-Wide Angle, X-tended Dynamic Range (XDR Contrast 12-X), Dolby Vision and are IMAX enhanced. The A9F OLED and Z9F LCD Master Series share some similar features. Both lines have full-color management systems with automated professional calibration process which includes a new special “Custom” mode already calibrated for consumer use. The new X1 Ultimate processor is also included in both TV series, which helps to improve image quality and enhances the sharpness. “What we saw at the Sony unveiling with these Master Series TVs was, to say the least, quite impressive,” says 4k Technology. The A9F OLED includes a Pixel Contrast Booster, boosting colors at high brightness levels, with deeper blacks for a wide-viewing angle. The new Acoustic Surface Audio+ channel sound system includes an additional center actuator and 2 side-facing subwoofers providing a full in theater like sound that comes right from the screen itself. “The Sony A9F MASTER Series OLED Ultra HD display is a phenomenal achievement, one that is no doubt worth the premium you’ll pay for it,” says Andrew Robinson of Home Theater Review. In a market dominated by two competing TV panel technologies, LCD and OLED, the Z9F attempts to bring the deep blacks and contrast afforded by OLED while overachieving in every facet of LCD TV: intense brightness, punchy HDR, and a massive palate of colors, which benefits those of us who watch TV in pretty much any place other than a dedicated dark room. Indeed, the Z9F appears to succeed at that goal. And then some, according to an article by Digital Trends.